Why was chocolate so damn addictive? Could it possibly be because it contains psychoactive compounds? Compounds like maybe… tetrahydrocannabinol (THC), the active ingredient in cannabis? The daydreamer put the question to the group, and after a brief debate the scientists all agreed that they had to find out. They grabbed the grant money and popped down the street to buy some chocolate. They ground it up to analyse its chemical structure†, and what they learned was quite amazing: the chocolate contained tiny amounts of anandamide. 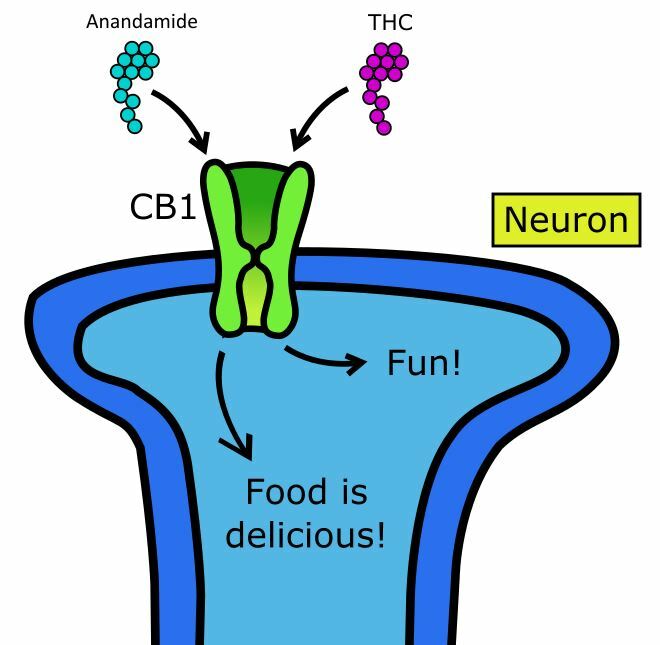 Anandamide is a compound produced naturally by your brain, and it has a very similar structure as THC in cannabis. In fact, it has the same effect on your brain. Anandamide is your brain’s way of getting itself high, if just a tiny little bit. In other words, eating chocolate might give you a little case of the munchies. Does that sound suspiciously like chocolate to you? Notably, the researchers found no anandamide in white chocolate. And in a way, this isn’t surprising. Has anyone ever craved white chocolate? No, of course not. While the discovery was intriguing, it wasn’t clear whether chocolate contains enough anandamide to affect people’s brains in any meaningful way. A group of scientists based in Naples, Italy came in to tackle the question. Their plan: they were going to get a bunch of mice high. They reasoned that they could feed the mice different amounts of anandamide, and find the smallest dose needed to noticeably change their behaviour. They would then compare this dose to how much anandamide was in chocolate. If chocolate contained at least as much, it was probably affecting the brain. Being Italians, as a control treatment they used… olive oil. Seriously. Olive oil. The Californian scientists wrote back a snarky response, criticising the Italians’ methodology and pointing out that of course chocolate didn’t get you high. Any psychoactive effects it might have would be subtle and subjective. At its peak, this chocolate-cannabinoid question burst into the courtroom. A man had been accused of smoking and dealing marijuana after showing positive in a urine test. His lawyer had heard about the recent research, and decided to try it out as a defence. He argued that his client had eaten a huge amount of chocolate just prior to taking the urine test, and it was actually the anandamide from the chocolate that had made him fail. The judge, uncertain how to proceed, called in the scientists. They synthesised pure anandamide, mixed it with urine, and then checked whether the concoction could trigger a positive result on a standard test. It couldn’t, and the man was convicted. And this is where the story might have ended. 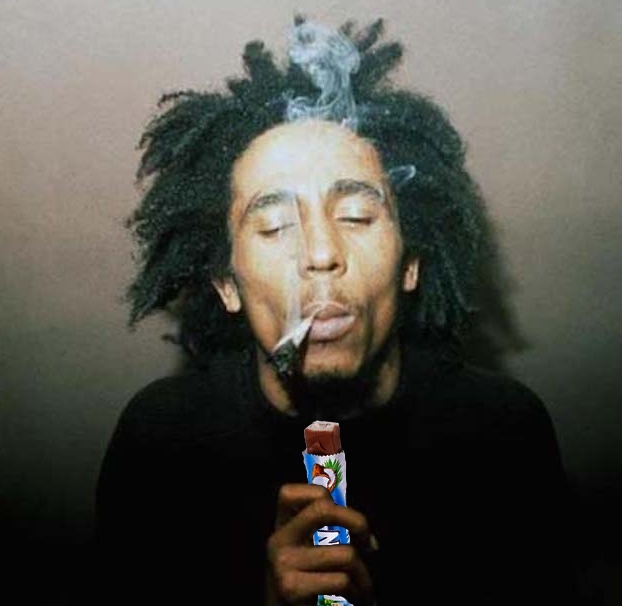 Following the case, everyone seemed to lose interest in the chocolate-cannabinoid question. No further research was done, and the idea was forgotten. 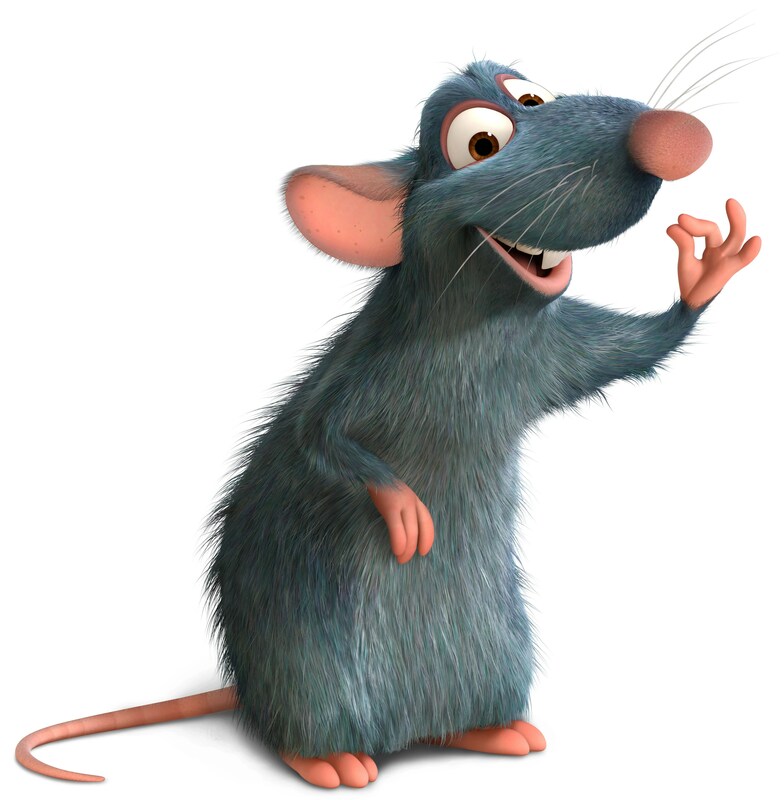 The Italian scientists had a colony of rats that they were raising on a diet of water and standard rat chow. It was healthy and filling, but not especially palatable. To see what would happen, the scientists started offering the rats a highly palatable chocolate drink. It turns out that rats are just like humans and love chocolate – they started sipping it all the time. Now the rats were hooked on the chocolate, the scientists gave some of them a drug that turned off CB1 in their brains. This meant that cannabinoids like THC and anandamide wouldn’t affect them any more. What happened? The rats without functioning CB1 lost interest in the chocolate drink. They still ate whenever they were hungry and maintained their weight, but they no longer seemed to care what they ate. Bland rat chow was just as good as chocolate. They had lost their ability to appreciate deliciousness. To this day it’s still unknown whether there’s enough anandamide in chocolate to turn on CB1 in our brains at all. It’s clear though that this pathway is critical to our enjoyment of food. Without cannabinoids such as anandamide or THC turning on CB1 in our brains, we wouldn’t crave that delicious cheesy pizza or that caramel swirl ice cream. In line with this, drugs that block CB1 are currently being investigated as a possible tool for weight loss. If, on the other hand, you’re someone who likes to supplement their brain with the occasional bit of THC, next time you’re enjoying that delicious junk food, you’ll know which protein to thank. Trick or treat from food endocannabinoids? Di Marzo, V; Sepe, N; Petrocellis, L; Berger, A; Crozier, G; Fride, E; Mechoulam, R; Nature, UK; Vol. 396 (6712), 1998, 636. Suppression by the cannabinoid CB1 receptor antagonist, rimonabant, of the reinforcing and motivational properties of a chocolate-flavoured beverage in rats; Maccioni, P; Pes, D; Carai, MA; Gessa, GL; Colombo G; BEHAVIOURAL PHARMACOLOGY; MAY, 2008, 19 3, p197-p209, 13p. †The chocolate also contained two related compounds which act to stabilise anandamide and prolong its effects. These other compounds were synthesised and included along with anandamide in the legal case. ← GMOs Pt 4: Is the Apocalypse Nigh? You can earn some extra bucks from your page, i see several opportunities here.